Northridge - See updates list attached to BLC! ! MLS#21632644. F.C. Tucker Company. Birch Run - FULL basement is rough plumbed for bathroom & could allow for a bedroom with it having egress window. Brownsburg schools! Neighborhood pool! MLS#21632516. Streamlined Realty. Meadowchase - Formal dining area if you want adjacent to living area. Double stairs to upper level. MLS#21632627. Hill & Associates. 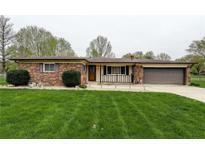 Austin Meadows - !newer A/C, Furnace, Paint, Lightfixtures,Curtains, Roof.. Garage Is Finished... MLS#21632641. F.C. Tucker Company. Creekside Commons - this is a property you do not want to miss so come see it today! ! MLS#21632497. CENTURY 21 Scheetz. 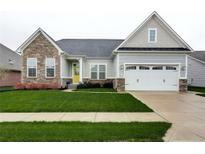 Come home to easy living in Brownsburg! MLS#21631782. Carpenter, REALTORS®. Hollaway Ridge - Awesome Trex Deck, screened Porch, Sprklr System & Invsible Fence. Generous 3-car with storage room. MLS#21631889. Ready To Call Home, LLC. 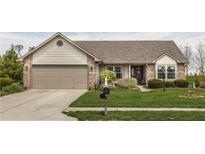 Hornaday Heights - Prime Neighborhood Location, nearby Schools, Shopping & I-74. MLS#21632240. Carpenter, REALTORS®. This home is amazing!! Don't miss out! ! MLS#21631363. F.C. Tucker Company. Branches - Community club house with pool and kids' playground. MLS#21631459. WKRP Indy Real Estate. Easy access to I-74, I-465 & I-65! MLS#21631461. Carpenter, REALTORS®. Beacon Pointe - Listed and Pended. MLS#21631856. 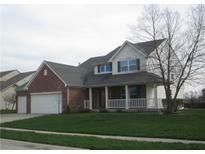 Keller Williams Indy Metro W.
Great location in Brownsburg just north of I-74. MLS#21631490. F.C. Tucker Company. Northern Acres - Large Pole Barn/Workshop With Covered Porch/Sitting Area Is Out Your Back Door. Welcome Home! MLS#21631458. 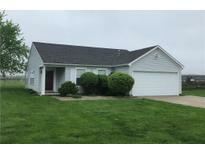 Keller Williams Indy Metro S.
Large bright master suite with walk in closet, double sinks, separate shower and garden tub. Newer roof, furnace, and AC. MLS#21631517. Carpenter, REALTORS®. Austin Meadows - All of the work has been done here just move in . MLS#21631444. Keller Williams Indy Metro W.
Winding Creek - Enjoy the warmer nights after a long day on your back deck that over looks a nice size back yard. MLS#21622566. Wall and Associates. Austin Meadows - The garage comes with a built in work bench for extra storage! MLS#21631391. RE/MAX Advanced Realty. Birch Run - Come see this home you will not be disappointed. MLS#21631279. RE/MAX Ability Plus. Photos shown may be an artist rendering, model home, or of the same model. MLS#21630703. CENTURY 21 Scheetz. Photos shown may be an artist rendering, model home, or of the same model. MLS#21630711. CENTURY 21 Scheetz. Photos shown may be an artist rendering, model home, or of the same model. MLS#21630692. CENTURY 21 Scheetz.